Tabletops Gallery® has been a leader for more than 30 years in designing and manufacturing trendsetting and functional tableware that attracts a vast range of lifestyles. Over the years, Tabletops Gallery® has become ttu’s® most popular brand with our collections of well-designed durable dinnerware, serveware, prepware, and oven-to-table bakeware. As industry leaders, we paved the way in making handcrafted and hand-painted dinnerware available to tabletops around the world. Today, we continue to design and manufacture trend-setting beautiful products that appease all styles. Tabletops Gallery® offers a multitude of quality choices in our collections, allowing our customers to easily create their own personalized table settings and customize their entertaining serveware. Our pieces cover a multitude of styles, which include hand painted and hand decorated collections, elegant whiteware, traditional and contemporary patterns, and solid colors perfect for mix-and-match creations. It is our belief that beautifully designed products should never have their structural integrity compromised. 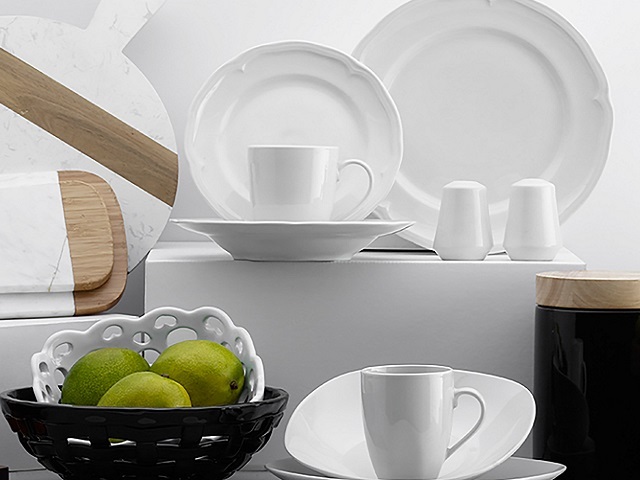 We use the best quality materials in our collections, such as high-fired ceramic, stoneware, 100% melamine, and durable glass, as well as bamboo, metal, and slate. Tabletops Gallery® continues to be an industry leader as we’re constantly working on new designs and functions that set us apart from the rest.